An out-of-control car veered across a dual carriageway, smashed into a woman walking on the opposite side of the road, and sent her spinning in the air. 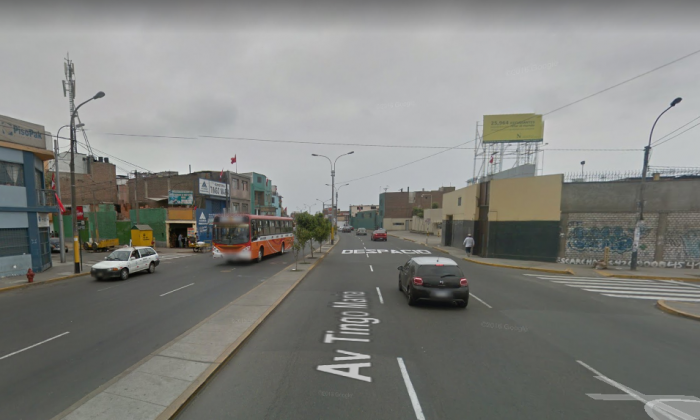 The scene, recorded on security cameras, shows the victim somersaulting over the car as it swerved into her on Christmas Day, in the Peruvian capital of Lima. The woman, Sandra López Fuster, survived, despite being thrown up several meters in the air. According to the Facebook page Policía en Acción López Fuster suffered from severe injuries including a broken knee. Panamericana Televisión reported that the woman, a mother-of-two, is bedridden and unable to work. The station said it was a “miracle” that she survived the crash. “I saw the car losing control, coming over the road and crashing through two trees before it hit me,” López Fuster said, according to the Mirror. Police breathalyzed a man, who they believed to be the driver, but tests showed that he had not been drinking, the newspaper reported. The investigation into the crash continues, and so far nobody has been arrrested, according to reports.